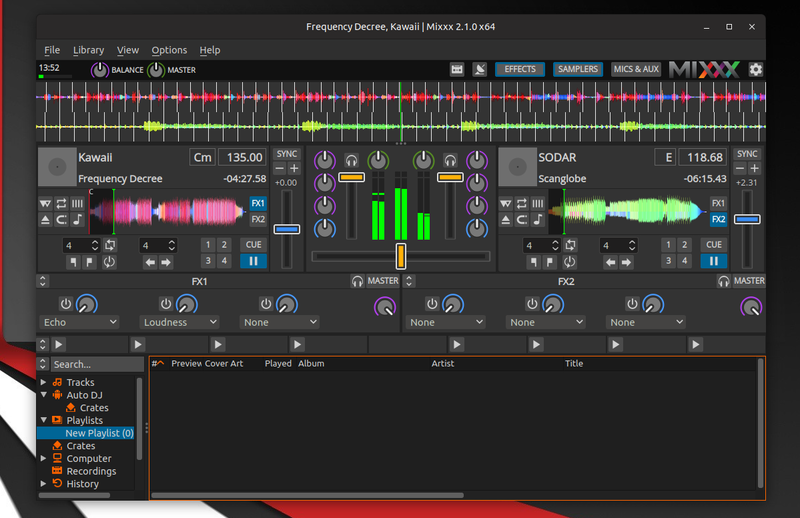 Mixxx, the free and open source DJ software, has seen a new release today. Version 2.1 was in development for more than two years, and it brings new and improved controller mappings, updated Deere and LateNight skins, overhauled effects system, and much more. 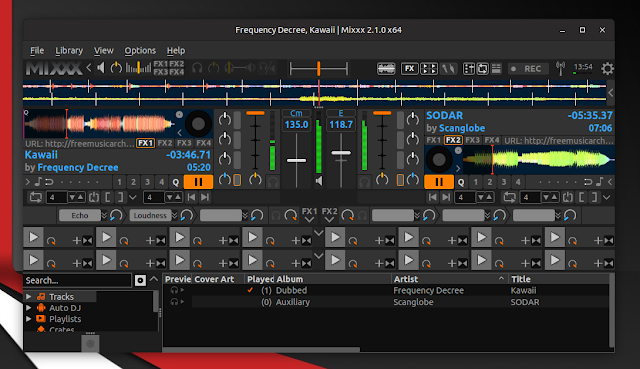 Available for Linux, Windows, and Mac, the professional DJ application includes most features common in DJ software, as well as unique features like support for advanced MIDI and HID DJ controllers. For a bit of history, it's worth mentioning that Mixxx was one of the first free and open source applications available in the Mac App Store (in 2011), becoming the #1 Top Free App in the USA, Italy, and Germany in under 48 hours since it went live. Being easy to use but at the same time offering many features, Mixxx appeals to both professional DJs as well as amateur, regular users who only want to mix music and have the virtual DJ (auto DJ) software take care of most stuff. For professional DJs, you'll be glad to find most of the stuff you need in Mixxx, from 4 decks to mix your music, to up to 64 sampler decks and much more. Mixxx also supports DJ hardware, allowing the use of a wide variety of DJ tools, from MIDI and HID controllers to controlling your digital music files from turntables or CDJs and a mixer using timecoded vinyl or CDs. Mixxx is free and open source software and you can download its source from the link below. Besides its source, the Mixxx DJ software download page also includes binaries for Windows, macOS and Ubuntu. If you're upgrading from an older Mixxx version and you're using Windows, uninstall the old version before installing Mixxx 2.1 (unless the previous version is Mixxx 2.1 beta or release candidate).